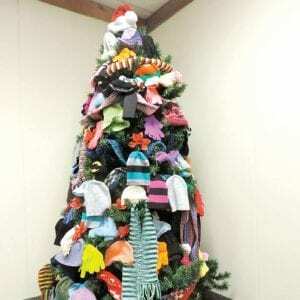 A warm and fuzzy Christmas is coming to area children who will be the recipients of a scarves, hats and mittens tree now on display at the Flint Township Hall and also one at the Flint Senior Citizens Center. The annual tree (depicted) at the township hall is decked with donations made by volunteers who have been busy all year knitting or crocheting the winter gear for children in each school district in Flint Township. “We hope that each child will be wrapped in warmth with these gifts from the hearts of the members of AFSCME Local 1918-01 and the volunteers who help in this endeavor every year,’’ the tree organizers said in a statement read by Supervisor Karyn Miller at the township board meeting Monday night.